Dr. Pawandeep Khanna is a board certified Radiologist who received additional post-graduate fellowship training in MR Imaging. Unlike most Radiologists, he has completed residencies in both Diagnostic Radiology and Internal Medicine. 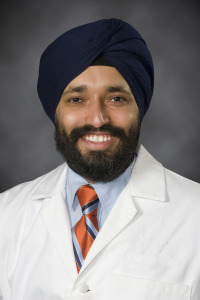 His clinical interests include: neurological MR Imaging of the brain, spine, and neck, MR and CT arthrography, foot and ankle MRI, and joint injections.